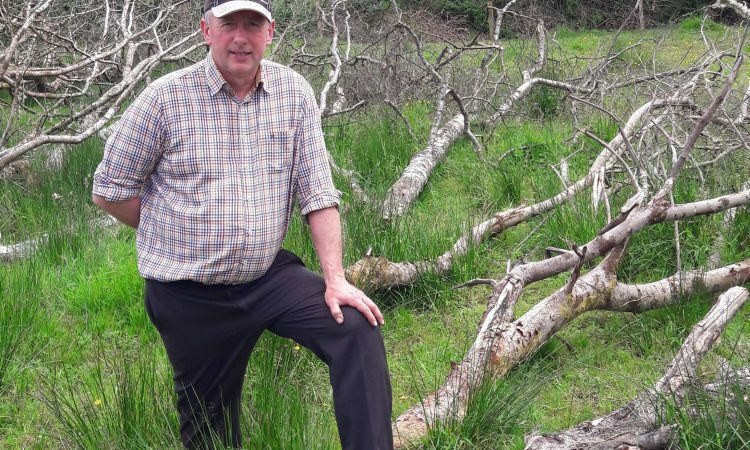 A Drumshanbo organic farmer was recently honoured as a local biodiversity champion for sharing the biodiversity on his farm by the Irish Wildlife Trust in association with Dublin Port. 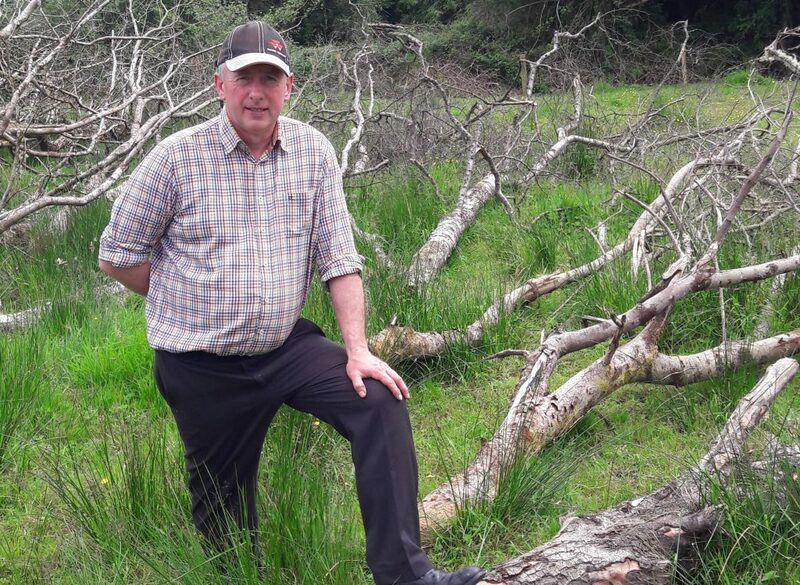 Farming 100ac on the banks of Lough Allen and keeping eight Aberdeen Angus as well as a small number of heifers and weanlings and several ponies, Tommy Earley converted the farm passed onto him by his siblings to organic. “The REPS scheme was coming in at the time and organic was one of the options. I always had an interest in the environment and my big push is to develop the farm with eco tourism in mind,” he told AgriLand. Brigid Barry of Farming for Nature was among those who nominated Tommy for the award. She said that for many years Tommy had consistently come up with and sought ideas and ways to protect, promote and enhance the biodiversity, habitats and environmental awareness on the farm, in his local community and the region. Tommy and his school teacher wife Gabrielle have two daughters, Elizabeth and Stephanie, both of whom are in college. Farming activities are undertaken in the main by Tommy but all tasks are shared by family members when available. Elizabeth and Stephanie have been fully involved in the open days and events from their primary school days. The many interesting habitats on the lands at Mount Allen organic farm were commended. The area of raised bog, its mature native woodland edge, the bog lag zone and the species-rich acidic grasslands were highlighted as being of particular interest and importance. The legally protected butterfly, Marsh Fritillary and Large Heath butterfly breed along the edge of the bog were pinpointed for the awards. Also of major interest were the zones of inundation and lakeshore grasslands. Two rare species of flora occur here, both legally protected under the Flora Protection Order. The herb-rich grassland hosts a population of Irish Lady’s Tresses orchid and the seasonally exposed lake mud hosts the rare plant, mudwort. In winter, the lakeshore area hosts and provides forage for whooper swans and historically Greenland white-fronted geese. Waders also forage the area, from curlew to nearby summer nesting common sandpiper. The positive biodiversity impact of Tommy’s work was lauded. “Tommy has over the years carried out many innovative conservation projects, some through Heritage Council grants. These include bog restoration by drain blocking, rewetting and membrane tanking and management plans for lakeshore orchid habitats grazing. He has done more for farmland nature conservation than anyone farming in the wider region. Creating new habitats and enhancing existing ones is another activity which Tommy consistently excels. 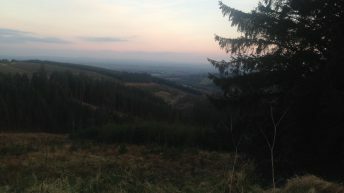 The biodiversity champion plans to showcase the work on the lowland raised bog which is being carried out in conjunction with Queen’s University, to other farmers with a view to carbon storage. 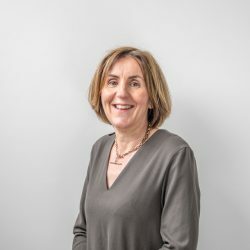 The ‘Together for Biodiversity’ awards were presented at the national biodiversity conference by minister for culture, heritage and the Gaeltacht Josepha Madigan. Social farming is another interest of Tommy’s. “I have been involved as a host with Social Farming Ireland for the last three years. At present, I have three participants on the farm one day a week. “What we do depends on the individuals and their level of ability. Some are in wheelchairs and enjoy just getting outside and experiencing the sights and smells of the farm. Others might want to give a hand with fencing or picking out seed for sowing,” said the biodiversity champion. Meanwhile, Tommy will host in one of Farming for Nature’s walks over the summer. Participation is free but booking is essential. Further details are available from Farming for Nature at: www.farmingfornature.ie.